MobilePhonesFan's argument against matte-finish plastic. 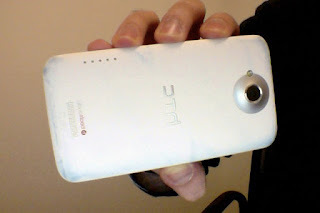 Remember when you first saw your pristinely new, white HTC One X? Well, this is your pristinely new, white HTC One X ...on bluejeans dye. Any questions? A matte finish is a terrible thing to waste.